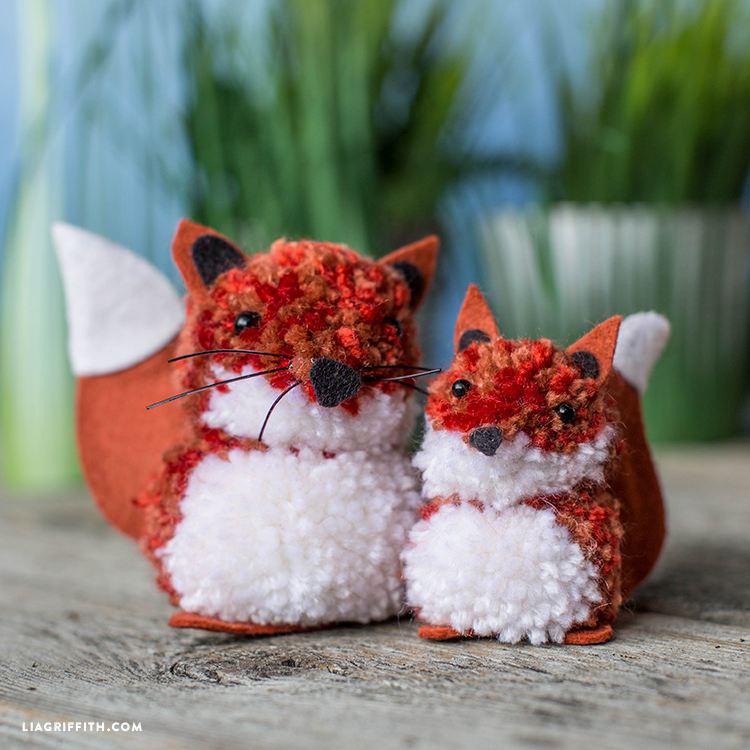 These fox pom pom pals are fun for all ages! 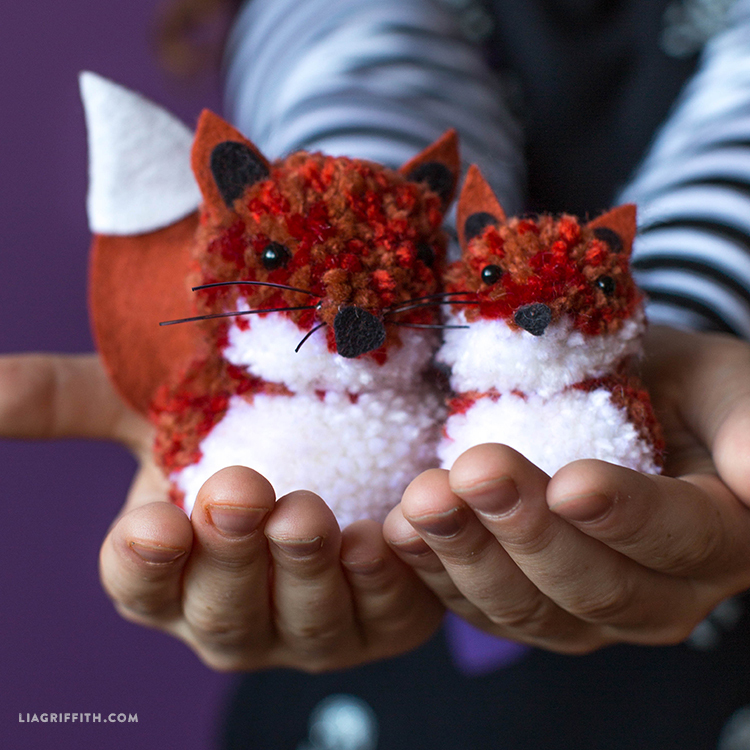 A perfect craft for even the youngest of crafters. In the coming weeks, we’ll also be introducing you to our pom pom owls and hedgehogs — Craft a whole crew of adorable forest friends! 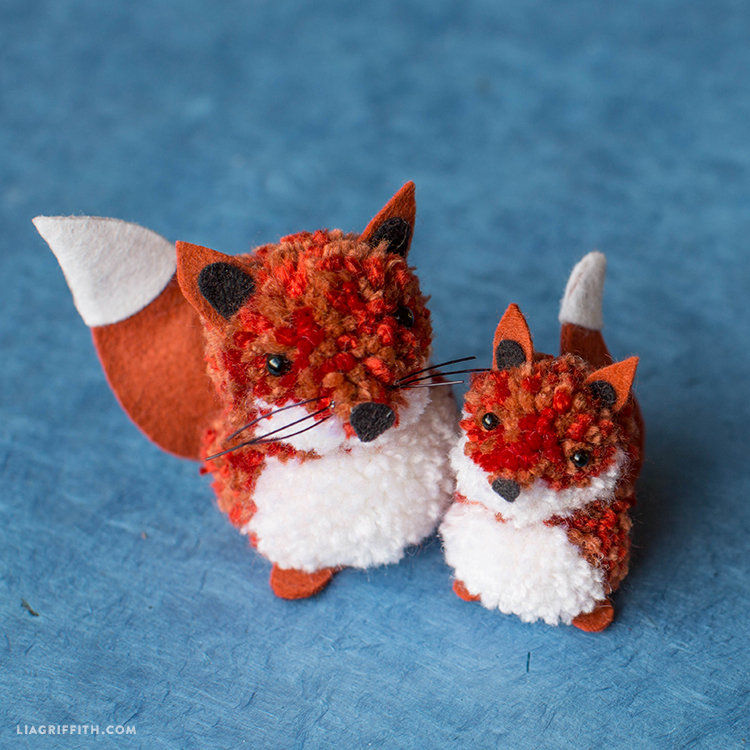 Add another strand of fishing line to form a loop on top of your little creatures and you’ll have ornament adorableness just in time for the holiday season. Wrap the pom pom maker with 1/4 white yarn and 3/4 both Paprika and Persimmon together. Make two pom poms and trim them down evenly, then tie the two pom poms together so the whites are touching. Adjust the pom poms so that the bottom white is facing forward and the upper white is facing the same, but angled down slightly so that only half of it is showing. Then trim the top pom into a cone shape where the white and red yarns meet to form a nose. Cut out the felt according to the template notes. Glue the whites onto the tips of the tails and the black onto the ears’ centers. Bend a piece of wire into the shape of the tail and glue it down the middle. Glue the other side of the tail over the wire. Cut six 1” pieces of fishing line. Glue the eyes, ears, nose, tail, whiskers, and feet onto your fox using hot glue. What brand yarn do you use for all of your little pompom characters? I love the colors. Have you made a penguin from pom poms?